Shop online for 31 mip hand tools. This is a 1.5mm Thorp Hex Driver from MIP. MIP has picked up the Thorp hex drivers to carry on the tradition of quality that the old Thorp ball end drivers brought you. This is a 3/32" Thorp Hex Driver from MIP. MIP has picked up the Thorp hex drivers to carry on the tradition of quality that the old Thorp ball end drivers brought you. 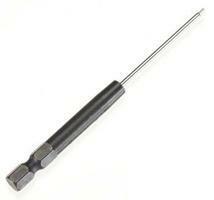 This is a 2mm Thorp Hex Driver from MIP. MIP has picked up the Thorp hex drivers to carry on the tradition of quality that the old Thorp ball end drivers brought you. This is the Speed Tip 1.5mm Hex Wrench from MIP. This is a 2.5mm Thorp Hex Driver from MIP. MIP has picked up the Thorp hex drivers to carry on the tradition of quality that the old Thorp ball end drivers brought you. This is a 5/64" Thorp Hex Driver from MIP. MIP has picked up the Thorp hex drivers to carry on the tradition of quality that the old Thorp ball end drivers brought you. This is the 3-Piece Metric Hex Wrench Set from MIP. 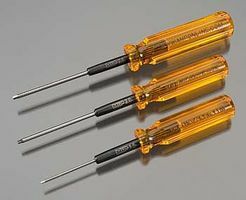 These are the MIP Speed Tip 3-Piece Hex Driver Standard Wrench Inserts. This is a 0.9mm Thorp Hex Driver from MIP. MIP has picked up the Thorp hex drivers to carry on the tradition of quality that the old Thorp ball end drivers brought you. This is a 3mm Thorp Hex Driver from MIP. MIP has picked up the Thorp hex drivers to carry on the tradition of quality that the old Thorp ball end drivers brought you. This is the Speed Tip 2.5mm Hex Wrench from MIP. This is the MIP 7mm Nut Driver. This is a 1/16" Thorp Hex Driver from MIP. MIP has picked up the Thorp hex drivers to carry on the tradition of quality that the old Thorp ball end drivers brought you. This is the Speed Tip 5/64" Wrench from MIP. This is the MIP 5.0mm Nut Driver. This is the Speed Tip 1/16" Ball Driver from MIP. This is the Speed Tip 2.0mm Hex Wrench from MIP. 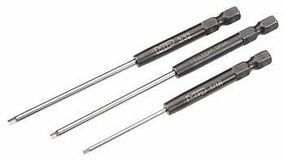 These are the MIP Speed Tip 3-Piece Hex Driver Metric Wrench Inserts. This is a .050mm Thorp Hex Driver from MIP. MIP has picked up the Thorp hex drivers to carry on the tradition of quality that the old Thorp ball end drivers brought you. This is the Speed Tip 3mm Hex Wrench from MIP.